Jessie Selkirk has a mission — to take care of every stray cat she finds. They are her life, her sole reason for being. 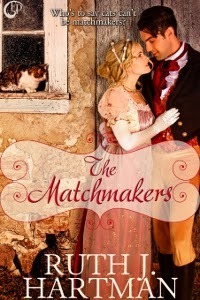 But when Baldwin Rutledge steps into her barn looking for a cat, she develops a whole new interest. One in which she must continually remind herself there is no future. No. Best to hope for nothing beyond friendship and spare herself a broken heart. 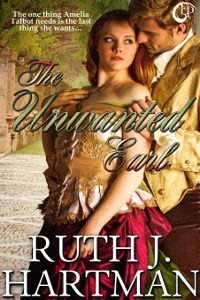 Baldwin Rutledge is desperate to stop his aunt from trying to find him a wife. So he decides to distract her by procuring a second cat for her. His plan is working beautifully, until he meets pretty Jessie Selkirk. Now marriage is the only thing he thinks about. He’d like to be more than acquaintances, but convincing her of that might take some doing. Conrad Croome, the Fifth Earl of Lofton, knows all too well that blackmail isn’t the way to form a marriage. How ironic that one Amelia Talbot uses a Croome family secret he’d thought long buried to force him to marry her. Is Conrad doomed to a life of marriage based on an exposed secret, or could Amelia learn to love an unwanted earl?